Giving names to newly discovered minerals is a sideshow in the carnival of science, like one of those booths where you toss a ball in a cup to win a stuffed animal. By that analogy, a team of scientists has won the giant stuffed panda, and the achievement was enough to rate a paper in the prestigious journal Science last week. 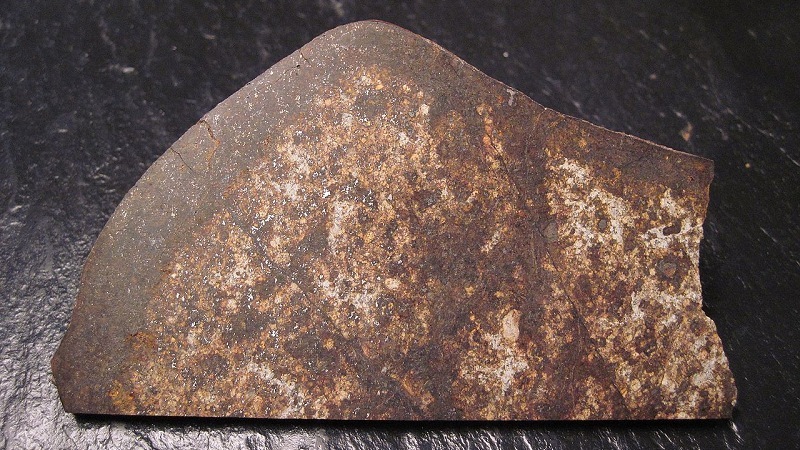 They successfully identified the commonest mineral that makes up the Earth, and gave it the name of bridgmanite. In various fields of science, insiders have the geeky privilege of awarding names to the things they discover. Astronomers can give names to new asteroids. Biologists get to name new species. Paleontologists get to name fossils. Even geneticists get to name genes. For instance, workers in all of these fields have used their privilege to honor the musician Frank Zappa (who died on this day in 1993). And mineralogists get to name new minerals. Normally this is a pretty obscure deal because all the significant minerals have been named. The rules are clear: you have to find a sample in a natural rock, and you have to describe its crystal structure and its chemical formula. Bridgmanite was previously known by its description: magnesium-iron silicate in the perovskite crystal structure, or (Mg,Fe)SiO3-perovskite or "silicate perovskite" or, confusingly, just "perovskite." (This can be confusing because real perovskite is the rare oxide mineral CaTiO3, and the common surface mineral orthopyroxene also has the formula (Mg,Fe)SiO3 but a different crystal structure.) It exists only under very high pressure, deep in the Earth's mantle, and makes up more of this planet than any other mineral, about 38 percent. We've known what it is for many years, and we've been manufacturing it in the lab, but by the rules of mineralogy we couldn't call it by a simple name. One good way to find high-pressure minerals is to peek inside diamonds, which form at great depths and can trap tiny inclusions of other minerals inside them. Another is to find pieces of shattered planets—meteorites—and search for the bits that represent their high-pressure cores. Neither of these have worked for silicate perovskite. The only way to make the stuff in a form we can find naturally appears to be extreme shock, leading again to meteorites. Examples of the material were first reported in 1997, and the chemical formula was known. The only missing piece was to describe the details of its crystal structure, but the electron microscopes used to discover that destroyed any crystals that might have existed. At room temperature and pressure, the material is so far out of its comfort zone that merely dipping it in a cup of coffee turns it into glass. A team of scientists led by Oliver Tschauner of the University of Nevada–Las Vegas and Chi Ma of Caltech managed to use gentler X-ray techniques on a piece of the Tenham meteorite, which fell in Australia in 1879, to find microscopic bits of crystalline silicate perovskite amid the shock-melted glass. These held still well enough for the team to collect the data they needed to win that big stuffed panda from the booth operator, otherwise known as the International Mineralogical Association. Bridgmanite is named for Percy Bridgman (1882-1961), a Nobel Prize winning physicist considered a founding father of high-pressure mineral research. With the naming of bridgmanite, the Earth's deep structure and composition looks like this today. There are still some important minerals waiting to earn names. One of them might be called meta-bridgmanite because it's a configuration of "perovskite" that forms even deeper in the mantle. For the last decade or so it's been called post-perovskite. Another possibility was hinted at earlier this year by experiments showing that bridgmanite breaks down into two mineral phases at great depths. 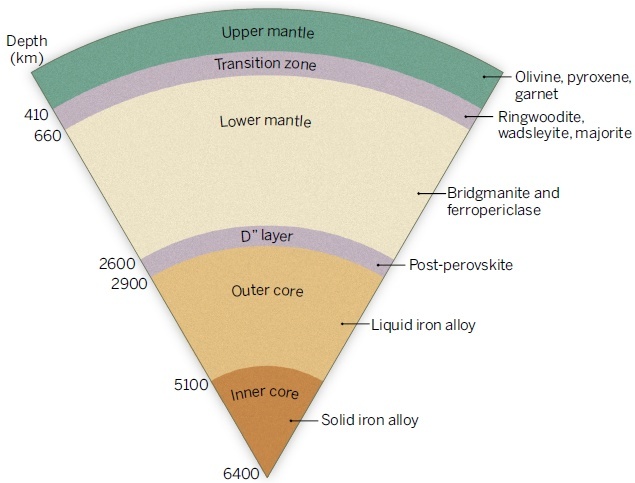 And then there's the solid iron compound that forms the Earth's innermost core. Nobody knows for sure what that one is. We know that the iron must be alloyed with some lighter element. Recently carbon has gained attention, and the iron carbide compound Fe7C3, long known in industrial circles, is one candidate. If one of those turns up in a meteorite, I hope the discoverer will consider naming it for Don L. Anderson, an influential deep-Earth researcher at Caltech who died earlier this week.